Hello, Readers! 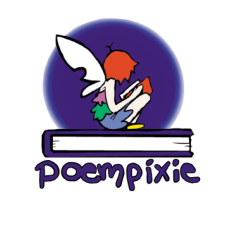 I started Poempixie because I love God and the gift He's given so many children's authors and illustrators. I also began this website and self-publishing imprint because I wanted to share what I'm writing and to hear about what you're writing! Here I've written a little about me. I would love to hear about you and what you're writing too! With your parents' permission, e-mail me at poempixiestories@gmail.com. I was born in Tennessee to book-loving parents who read to my brothers and me daily. I would listen to my mom read C.S. Lewis’ The Chronicles of Narnia and my dad read J.R.R. Tolkien’s The Hobbit and The Lord of the Rings. Years later, I remember sitting around the kitchen table illustrating scenes from The Hobbit together, my dad drawing Bilbo and Gollum riddle-jousting in the dark as I drew Smog. And so I became a book-lover myself and soon wished to try my own hand at writing. I would write poems in cards to loved ones and around the age of ten attempted a story about an angel and a little girl. 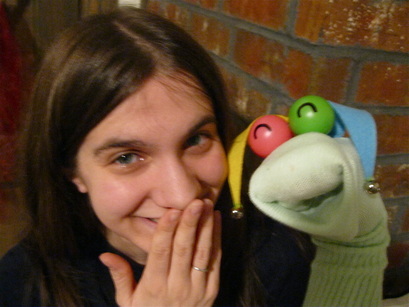 I also found I loved puppetry and began to write and perform marionnette, shadow, and hand puppet shows. In university studies, while getting my degree and teacher’s licensure in Early Childhood Education, I enjoyed sharing my love of reading and writing in the poetry and creative writing clubs at my school. Afterwards as a teacher of first grade, second grade, and Kindergarten, I found that I loved to read the stories my children wrote just as much as sharing books with them. I now live in Switzerland with my loving husband Justin and our two wonderful children. Together we share with others our greatest love in life, our love for God. We also enjoy building up our own library with everything from board books to textbooks!